WILLOW (0008) forming higher high & higher low. Will it retrace down to retest support level? 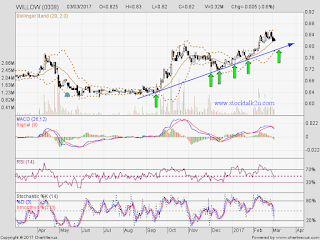 Immediate support @ RM0.80 level. Subsequent support @ RM0.785 level.